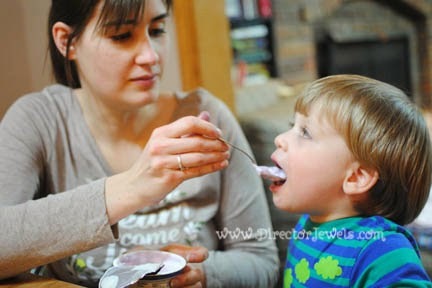 Director Jewels: Which Yogurt is the Best Greek Yogurt? 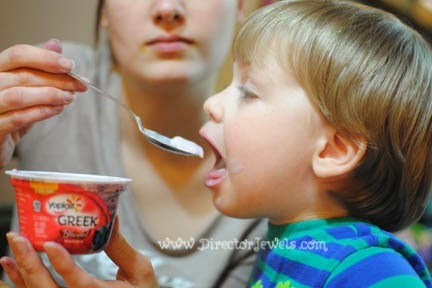 Disclosure: This Greek yogurt taste test was sponsored by Yoplait, but I was asked to honestly express my opinions. I'm pretty picky when it comes to food, so you know I only share what I really think! I don't like to try new foods. When I was little, my grandpa would actually pay me every time he got me to try a new food. Since we are trying to eat whole foods and re-think our food choices in general, I like to think I have made some strides in the right direction. But one thing I have never been thrilled about trying is Greek Yogurt. I used to be a yogurt junkie. I ate two or three cartons of Yoplait every day (Blackberry Harvest? um, yum). But then Addie came along and I had to quit eating dairy for several months since she was exclusively nursing and had a sensitivity. And, along with many other things, my yogurt addiction just kind of fell by the wayside. So when I was invited to participate in the Yoplait Greek Taste-Off, I thought it was a good opportunity to re-introduce yogurt to my life - and go straight to the healthier Greek version. 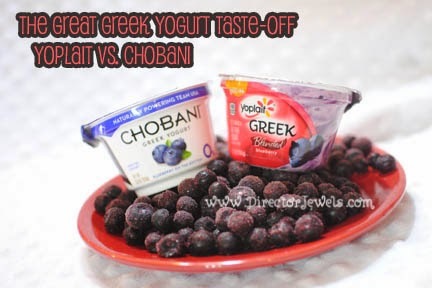 Yoplait has asked consumers across the nation to test their own Greek Blueberry Yogurt against Chobani's Blueberry Fruit on the Bottom to see which one is better. 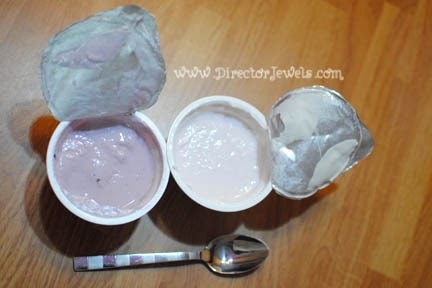 Yoplait is on the left, Chobani on the right. I saved these two yogurts for dessert one evening this week, and sat down to the important task of deciding which one is more awesome. I am meticulous about my yogurt consistency - it has to be very smooth with few or, even better, no chunks at all. The first point went to Yoplait because even from opening the packages, it was apparent that their blended variety fit my specification more closely. I stirred both of them up for good measure, and set to tasting. Yoplait vs. Chobani - which would it be? 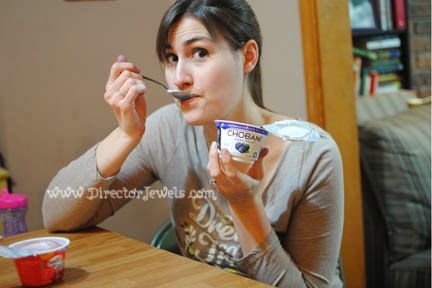 The Chobani was the first yogurt I tasted, and I immediately noticed the Greek taste. It was not as overwhelming as I expected, which was good - but I could definitely tell it was different than the "normal" yogurt I am accustomed to eating. Around this time, Lincoln popped his head up next to the table and said "What's in there, Mommy?" He slid his chair next to mine and proceeded to help me taste-test. 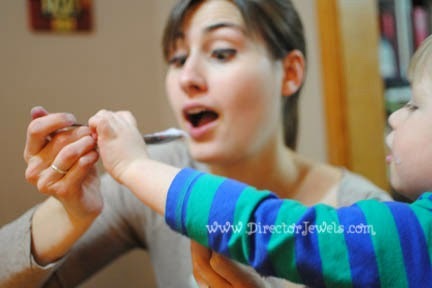 We each took a few bites of the Chobani before switching to Yoplait. And when we did make the switch - wow! I was amazed at the difference in flavor. 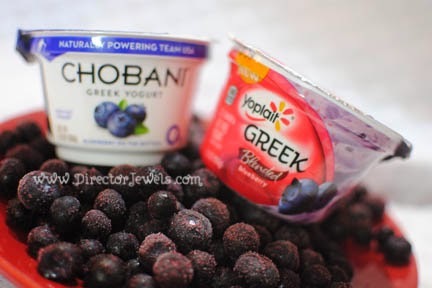 Yoplait's Greek Blueberry yogurt is far sweeter than Chobani's Fruit on the Bottom. I thought for sure there would be a corresponding sugar content on the label to explain this difference, but that was not the case. 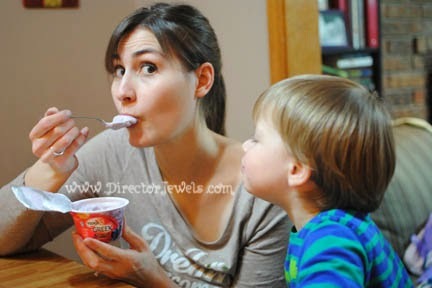 Yoplait features no artificial sweeteners or flavors, real fruit, and comes in a 5.3 ounce cup of goodness. From that point on, it was a fight to get another bite in for myself. Pardon the serious spaghetti face! I have to honestly say that after this taste test, it's a lot more probable that some Yoplait Greek Yogurt may end up in our next grocery purchase. I do wish that there were an organic, certified non-GMO version available, but at least I can feel confident that this is healthier than some other options! My kids thought this was the best treat ever, so wait until they find out it comes in flavors like pineapple, tangerine, coconut, and cherry! They'll be thrilled (and possibly refuse to eat anything else ever again)! My final decision was this - I would definitely reach for Yoplait on a grocery store shelf first. The sweeter taste sold me! I love that it is a Greek yogurt that doesn't completely taste unlike other "normal" yogurt varieties. Take the taste challenge for yourself - and let me know which one you like better! Disclosure: This Greek yogurt taste test was sponsored by Yoplait, but I was asked to honestly express my opinions and all views expressed are my own. For more info, you can read my Disclosure Policy. We did enjoy it - especially the kids. I barely got in a bite for myself once they started tasting it! We also like the Yoplait better because of the sweeter tatse. Enjoyed your review! That's great that there's no sweetener! 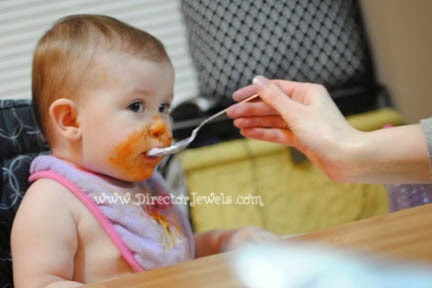 This is such great info for mamas trying to feed their kiddos healthy foods! It's great that more companies are offering healthy versions of things - so much to worry about when it comes to what we are feeding our families. Our whole house loves Greek Yogurt. The kids love to see what flavors I come home with every week. I know what you mean - a couple days ago, we tried cherry and peach and the kids were so excited. I don't like chunks in my yogurt, either! Your pictures are so cute and I love Greek Yogurt! I'm picky in general, so it was a nice surprise to find I actually don't mind Greek yogurt! That looks so delicious Julie! I love interesting yogurt tastes.. yum! My kids haven't tried Greek yogurt yet. It definitely looks like one they'd love! I didn't think Lincoln would eat it, but he was obsessed. Shocking since just about everything is a food battle right now. I have to say, I am partial to Yoplait! I used to not like any yogurt but so far, I've liked all the Yoplait flavors I've tried. 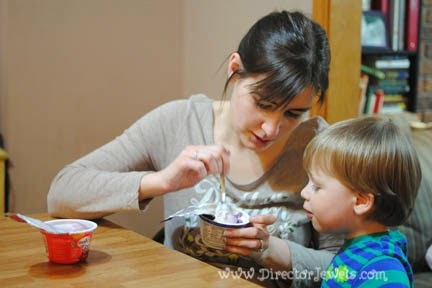 I had several years when I wouldn't touch anything but Yoplait - it's always been my favorite. Happy to add the Greek variety to my line-up!